Advancements in technology and evolving optical techniques, such as multiphoton imaging, are stimulating neuroscience research, leading scientists into the brain’s uncharted territories. In our cover story, Contributing Editor Farooq Ahmed takes a look at such advancements, including two- and three-photon microscopy, which are poised to outshine confocal imaging when studying intact, living tissue. Find Novel Multiphoton Imaging Techniques Reveal Brain’s Secrets (link). • Adaptive optics (AO) and OCT are the focus of an article by Nishant Mohan, Ph.D., vice president of the OCT division of Wasatch Photonics, and Cicely Rathmell, the company’s vice president of marketing. They dive into the latest developments in both AO and OCT in relation to ophthalmology. See AO-OCT Comes into Focus, (link), to learn how these two technologies are enhancing 3D imaging of retinal structures, and how their pairing is key to clinical diagnostics and research. • Quing Zhu, a professor of biomedical engineering at Washington University in St. Louis, examines a dual imaging technique: photoacoustic/ultrasound imaging. This emerging diagnostic imaging tool is offering new hope for ovarian cancer detection and diagnosis. Find Zhu’s article — Dual Imaging Method Holds Promise as a Tool for Cancer Diagnostics — (link). 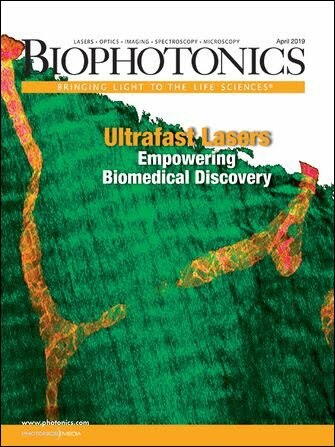 • In The Growing Role of Lasers in Treatments for Better Blood Flow, (link), Contributing Editor Hank Hogan discusses how the treatment of diseases of the heart, arteries, and veins is evolving thanks to advancements to laser technology — including new wavelengths, lower-cost systems, and more rugged setups. The resulting improved outcomes for patients could potentially make therapy less expensive.